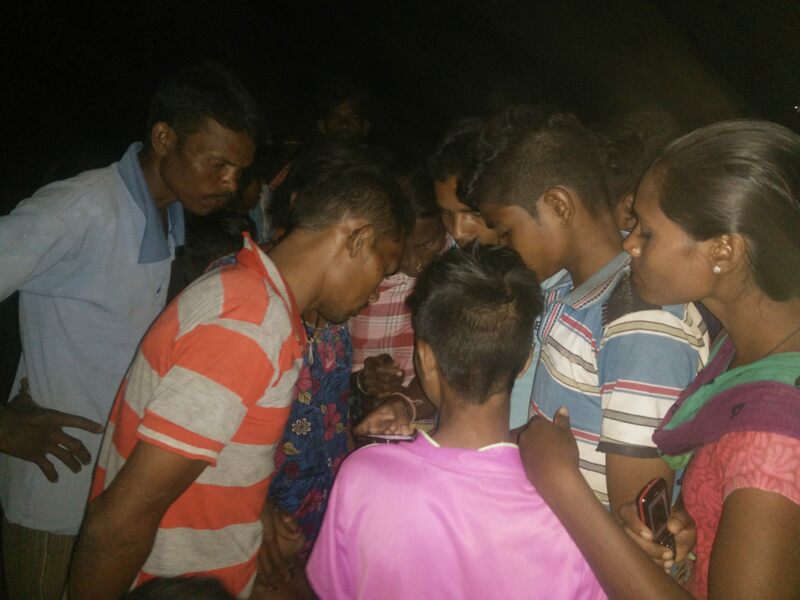 After 40 persons were killed in an alleged encounter between the C-60 commandos and Naxals in Maharashtra's Gadchiroli, a village waits to identify their dead even as the media smears their missing children as outlaws. This is the first article in a two-part series on the aftermath of the reported killings of 40 ‘Naxals’ in Gadchiroli, Maharashtra. 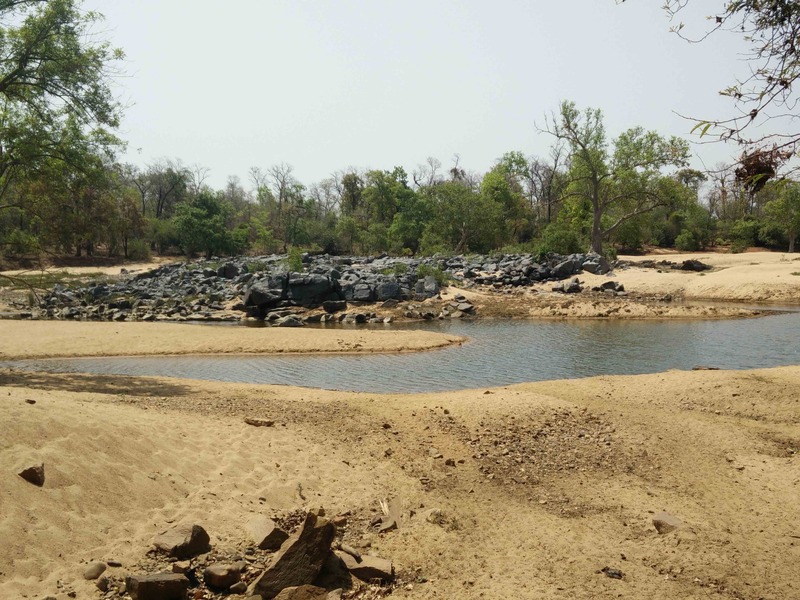 Gattepalli (Maharashtra): For five days, the residents of Gattepalli, a tiny hamlet in Gadchiroli Maharashtra, had no idea where many of their children had disappeared after they had gone to attend a wedding in a nearby village on April 21. When the tragic news finally came, it was by accident. “Oh, is that Raasu? But her cheeks look swollen in this picture. Look at the forehead closely, she had an exceptionally broad forehead and small eyes,” said Bisru Ataram in Madiya language as he peered – almost by chance – into the mobile phone of a visitor, advocate Lalsu Soma Nagoti. On the evening of April 27, Ataram accidentally saw and recognised the photo of one of the children – it was 16-year-old Raasu Chacko Madavi. In shock, he immediately shared the news. The photo was part of the list of 16 people who had been killed in an encounter with the police for being suspected Naxals just a few days ago. For Raasu’s sisters – Vanji, 20, and Jano, 18 – it was a traumatic moment as the news sank in. It was equally distressing for other villagers who had been waiting for some sort of official confirmation from the police after they had heard of the encounter. Their worst fears had now come true. Raasu’s picture was number five in the list issued by the police. She was classified as “an unidentified person” who had been in the alleged “encounter” on the banks of Indravati river on April 22. Her swollen face with deep gashes on the cheeks and swollen left eye had deformed her face to a large extent. But the villagers had seen Raasu since she was a baby. They could identify that face with “broad forehead and small eyes” in no time. In the darkness, the villagers then feverishly scrolled through the PDF page on Nagoti’s phone to see if they could spot any more familiar faces. They discussed if another picture, marked as Shavh #10 (dead body number 10) could be that of another missing teenage boy, Nusse. But they couldn’t tell for sure. “The face is too swollen, as if the person was badly beaten. Some features match those of our son Nusse, but we can’t be sure,” Ataram said. No official confirmation about their children’s whereabouts or deaths had come so far, barring an inquiry by C-60 commandos of the police who had visited the village following a missing persons complaint the villagers had filed with the police in nearby Gadchiroli. Gattepalli is a remote and tiny village in Etapalli tehsil, around 310 km from Nagpur. Like in most tribal villages in Gadchiroli region, the 35 families of Gattepalli are dependent on Tendu leaves and other forest produce for their sustenance. The concrete roads slowly give way to dusty paths the closer one gets to the village. Irregular state and private bus services connect the outer world only up to Etapalli town, 66 km away. The journey beyond can be completed only on a sturdy bike and the two-hour back-breaking journey is challenging, especially at night. Given its remoteness and lack of public transport, the villagers here seldom travel to town. Only a few families here own motorcycles which are generously shared with everyone. The teenage Rassu and seven others, none older than 21, had left home on the evening of April 21 saying they were going to Kasansur village, 15 km away, to participate in a wedding. According to advocate Nagoti, himself a Madiya, a wedding in the tribe is considered an open house of sorts-it is quite common to find uninvited guests from neighbouring villages participate in the pre-wedding ceremonies. Participation of unfamiliar faces, Nagoti says, is just as welcome as that of any relative. According to the testimonies collected from villagers in Kasansur, these eight persons never reached the marriage venue. “There is a possibility that these persons had left the village to join the wedding party but were either summoned by the Naxals camping outside the village or were forcibly taken by the police to the spot and attacked,” said Nagoti, a member of the Gadchiroli zila parishad. Then came news of two “successful ambush, planned and executed by Gadchiroli district’s C-60 commandos (the Maharashtra police’s special anti-Naxal unit); 40 people were reported death. According to the police, two days before the encounters, security agencies had received precise information about the Naxal movement in the region. 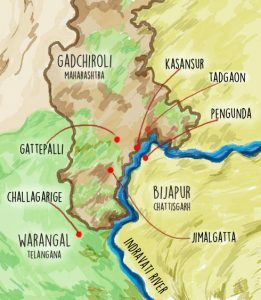 On April 22, in the forest area surrounding Kasansur in Gadchiroli — which geographically falls in Chattisgarh’s Pengunda village in Bijapur district — the C-60 commandos had opened fire on a “group of Naxals” who had allegedly been camping there for a few hours. In all, 34 were killed in the firing. A day later, at the nearby Rajaram-Khandla forest, six more, including a senior member described as Nandu, were killed. As reported by The Hindu, K. Vijay Kumar, senior security advisor, Ministry of Home Affairs, claimed these encounters were perhaps one of the biggest operations in terms of the number of Maoists killed in the recent years. The villagers of Gattepalli say they hadn’t heard anything about the encounters. They waited until the end of April 22 for their children to return. When they did not, the eight families travelled around 140 km the next day to visit the police headquarters in Gadchiroli. No information was forthcoming. Talking to The Wire correspondent, the villagers had a lot of questions. “Why did they (police) not tell us when we visited them on Tuesday (April 24),” asked one. “Eight people – one from each family – are in Gadchiroli right now for their DNA tests. The police could have just shown us the list and we could have at least identified and rested (cremated) our child by now. This is cruel beyond comprehension,” said another. The mood was one of despondency, at the lack of any information and at the way events had unfolded. On April 24, the villagers had approached the police headquarters in Gadchiroli and had filed a missing persons complaint. The police, the villagers claimed, took down every detail and asked the family members to return the next day. By then, the list of names and photos were already released by the police for the media. “Instead of showing the list to us, they took us to the mortuary and asked us to recognise our children among the bodies. Those bodies were wrapped in thick polythene bags and only the faces were left open,” said 29-year old Bijja Chundu Madavi. The bodies, Bijja claimed, were strewn about in a “very hot room” and emitted a foul smell. “The faces had decomposed completely and we failed to recognise anyone,” Bijja added. Now the families are waiting for the DNA tests to confirm that the dead are indeed the village’s children. 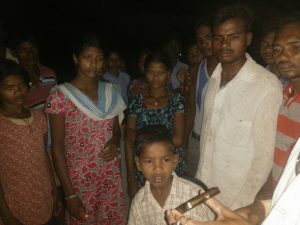 Bijja’s 16-year-old brother Mangesh is one of the eight persons to have left the village with Rassu that evening. Mangesh, a class 11 student at the nearby Bhagwantrao Arts and Science college in Ettapalli had returned home only a few days ago. “It was a residential programme. After finishing his class 10, we sent him there for higher education,” Bijja said. “He is a good student,” he said, and then corrected to “he was a good student”. Several versions of the killings have appeared in local papers, all depending on the statements issued by different police officers from time to time. Earlier the eight were identified as “deadly armed rebels”. Their age, names and village were not disclosed. But once the families approached the police, another version of the story was put out. The police claimed these eight youth were a part of the new recruits who had come to the village to “meet their commander” for the first time. Since Sainath alias Dolesh Madhi Atram (32), the alleged commander of Permelli Dalam (who, according to the police, was recently elevated as the divisional committee member) is also was from Guttepalli village, the story had ready takers and both the regional language and the English media published the police’s version. The villagers say they know whenever someone is getting ready to join Naxal groups. “When Sainath left home some ten-15 years ago, we knew he was not going to ever return. If these children were to join the rebels too, they would not have taken the risk of leaving in a group,” said an elderly person. Sainath, according to the police record, joined the movement in 2004 and had over 75 criminal cases against him including murder and abduction. The police claimed there was a reward of Rs 16 lakh on his head. Each family member that this reporter spoke to claimed that the youth had carried a bag with them which contained their fineries in it. They also claimed that none of them had earlier gone missing, something that could indicate if they had come in contact with the Naxals and had participated in the movement in some form. For tribals in the Naxal-affected area, the only way to establish their “legitimate identity” is by possessing as many active legal documents as possible. Tribals here protect their legal documents like Aadhar card and voting card dearly. Since most of those who went missing were still minors, the only official document they possessed were their Aadhaar cards – a few, like in Mangesh’s case, had college IDs. Gadchiroli’s SP Deshmukh claimed that slain Naxal leader Sainath was in touch with the children. “In our preliminary investigation, we have found that these youths were in touch with Sainath. He had been visiting the village and meeting them. It is likely that Sainath had traveled with them to the spot of the encounter,” Deshmukh told The Wire. Nagoti along with the villagers is now seeking independent inquiry into the killing. “Whether a part of the movement or not, this cold-blooded murder of such young children cannot be justified. They have snatched an entire generation from us. Only a non-partial, independent inquiry can ensure families of the deceased get justice,” he said. This tiny and remote village is in a state of gloom, having lost so many of its children. Compounding that is official apathy and lack of communication from the authorities. But worse is not being able to counter the official version that has been spread and reported by the media, which has branded their young children as outlaws.